Chris Foster is currently a Presidential Fellow at the Global Development Institute, where he joined in October 2018. His research focusses on the digitalisation of production, and the implications of new digital innovation on the global distribution of production, work and labour. 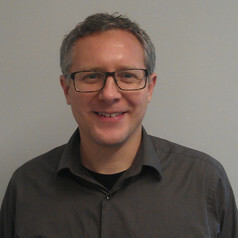 Prior to joined GDI, Chris was a Lecturer in ICT and innovation in the Information School in Sheffield (2015-2018). He worked as a researcher at the University of Oxford (2013-2015), exploring the impacts of broadband internet in East Africa. He achieved a PhD from the University of Manchester (2009 – 2013) where my research looked at mobile sector innovation in Kenya, and its implications for innovation theory, firm strategy and public policy.